The house must be spotless. The food must be gourmet. Your outfit must color coordinate (and your apron must match). These are bad hospitality rules that have held Cheri and Amy hostage. But what if none of these are true? What if we can embrace connection over perfection? When we can, hospitality looks much more like the heart that God always intended. 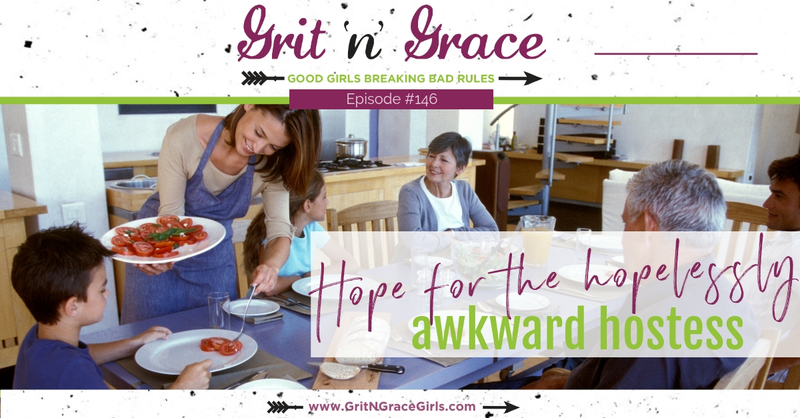 Today’s conversation by two awkward hostesses will give you hope that you can be hospitable too! What bad rule of hospitality do you need to break? Think of a time that the imperfection of an event built connection. Plan a gathering outside of your house purely for connection, and let us know how it goes! cheri: Alright let’s talk about my least favorite topic. Yay. Hospitality.” Attitude problem much. So, I thought we’d start out with some levity. Vicarious levity. When Cristin told the story of dropping the cupcakes, I think I was hyperventilating for days afterwards. So, do tell. What is one of your worst hospitality disasters? amy: Okay. Well, do you mind if I let you go first? Only because it doesn’t have so much levity. Mine is a true confession this time. cheri: Oh okay. Well, I’ll go first but I might go really really fast because I’m dying to hear your true confession. Well, mine was similar to hers. It had to do with dropping things, but when I was young before I had children, I specialized in making tuxedo dipped strawberries. Have you seen those? cheri: You dip it in white and then you dip it sideways in dark chocolate so you end up with this little white triangle and then you take a toothpick and you do three little buttons and then you do a little bow tie. I’ll post a picture. So, I know it’s unbelievable that non-detail Cheri ever did this but of course I did it because I got so much attention. They are the most adorable things. Anybody can just dunk a strawberry in chocolate, but these were works of art. So, I had made three trays of these my first year as a teacher for the eighth grade graduation, but I didn’t think ahead. This is where the non detailed part comes in. I didn’t think ahead about how to transport them. So, we’re ready to go and suddenly I realize I have three trays of these and they’re just sitting on trays. They’ve been sprayed with nonstick spray. I don’t know. I just threw them in the back seat of the car. We aren’t even two blocks from the house and the light suddenly changes and I won’t describe who was driving, but the person who was driving made the choice to stomp on the breaks and those three trays of strawberries just went flying. At that point, we had two dogs that we regularly carried in our car with us. One was black and one was white. cheri: So, you know I was thinking I’m going to rescue those. I’m going to rescue those. They ended up rolling around on the floor and they literally came up like fuzzballs. There was no saving them whatsoever. So, here and this is just so indicative of my view of hospitality. I had made these to show off. I had not made them to serve. This was not my gift to my beloved eighth graders. this was look at me. I am going to have the wow of the show. Did I ever have a wow. It’s just nobody ever saw any of them because … I cried the whole way to graduation. I was so upset because I put in all that work, but the thing I was most upset about was that nobody was going to see them and oo and ah over them. It was terrible. amy: That is terrible on every level. I was cringing and gasping the whole time you told the story. Well, that’s really kind of funny. Mine is really I started thinking wow, do I really tell this story on myself? I don’t know. It’s a real negative view of Amy Carol but my husband and I were in a church, we were kind of still newlyweds because we were in our first house. Our little house, but we had a request for our church that a missionary was coming from Africa. They needed somebody to open their home to him. So, I was so proud of our little home and I wanted to open up my home. So, they told us what time he was supposed to be coming and so I prepared his room because he was going to spend the night and I prepared dinner and we waited and we waited and the minutes went by and then the hours went by. Okay, Cheri, can I just say I wasn’t worried about where this poor man is. There was some kind of liaison with our church so he wouldn’t even have been the one communicating with us, but nobody was communicating with us and I was getting madder and madder and madder. I was in such a snit until I think it was like midnight when someone finally contacted us. I think it was just a matter of late flight and things like that, but because nobody had communicated with us and the dinner was ruined and it had not run on my time table at all, I was in such a snit. Such a bad place and I don’t think he even came until the next day, but for me at that point in my life the whole thing was ruined. Just ruined. You know what I’m saying? I just look back on that and I think you and Cristin had these stories of your stuff being ruined and so it was this expectation on yourself that got ruined, but here’s what’s worse. My hospitality so hinged on the other person also. Not only was I supposed to do this perfectly, but by golly you better show up on time. Mr. Missionary man. cheri: It’s like he needed to send an instruction booklet ahead of time so somebody could study up and be sure to be the perfect guest. Not only were you going to be the perfect hostess, but they needed to be prequalified to be the perfect guest for action Amy. amy: Yes because I’m going to bless you. cheri: Well, that would be really funny to write a guide book as to how to be the perfect guest so that they can receive your blessing. Oh my word. That’s hysterical. I’m so glad you told that. amy: Because when you ask the question, it was the first thing that popped in my mind and I really feel like it was Jesus that made it come to my mind because it was like, “That was 30 years ago. 25 years ago. I have not even thought about that in so long.” But anyway. cheri: Well, yeah. I may resemble that story but hey, I’ll totally let you nark on yourself here. So, Cristin said something that just so stomped on my feet. She said it seems to me that women are desperately chasing perfection and when we don’t capture it, we lose control of our emotions. I had a rather amazing experience last week. I was supposed to go to Writing At The Red House with our friend Kathy Lipp and her house was under a ton of snow. So, she had to literally 48 hours before people were arriving to the airport in Sacramento, she had to make the decision to change the location to her town home in San Jose. So, instead of an almost 3000 square foot home that’s set up for that, she was going to have us come to about a 1400 square foot townhouse that had literally just been renovated. The renovations were finished on Thursday and she’s making this decision on Saturday. I’m just going to say all I ever needed to know about hospitality, I feel like I just learned from Kathy Lipp because you know and our listeners who have been around for a while know I grew up with a mother who was the hostess with the mostest. The hot foods were served hot. The cold foods were served cold. Perfect spotless house. There were place cards with our names on them even at Thanksgiving. I understand that that is one way to do hospitality. Unfortunately what I took away from that is that there was only one way to do things. If you couldn’t do it that way, then like you said, everything was ruined. There was no other way and one of the things I’m starting to realize as a path out of perfectionism is becoming aware that there’s options. There are more than one way to do things. Oh my goodness. So, I’m realizing that the mentors in my life that I’m starting to really see a difference in myself are the mentors who’ve shown me options. Literally. To our listeners, my recommendation is go hunting for options. Find mentors who show you what other ways of doing things look like so that you can go, “Oh, so that’s what it looks like.” Because if you weren’t raised with that or you have, in my case I’ve had blinders on. So, there probably have been people in my life showing me other ways of doing things, but I was so focused on there’s only one way I didn’t see that. So, what I watched Kathy do, well first of all, she has over the last quite a few years, she wrote the book Clutter Free because she had really started to deal with her clutter. She’s been living it out more and more. So, first of all she had gotten rid of a ton of clutter. So, she actually was ready to receive guests in a way she wouldn’t have been several years ago. So, that was a huge lesson, but the most important thing I saw was that she was focused on us the entire time. She was focused on doing everything necessary so she could be herself. She wasn’t trying to think of all five days that we were going to be in her house. Just get the picture there were nine adults in 1400 square feet plus an aging puggle and a somewhat anxiety ridden cat. All in 1400 square feet which I thought was a recipe for disaster, but it absolutely wasn’t. Literally as the week went on, I was more and more amazed at her ability to truly focus. Cristin talked about being a hallelujah hostess. The whole time Kathy did exactly what Cristin said. Let go and be happy and enjoy the people. She was constantly treating us as the most important people in the room. It was constantly what can I do to serve you? What I realized at the end is she did what it took to be herself. So, she could serve us so we could be ourselves. It had nothing to do with anything being perfect. Although I will say the food was amazing. Everything was clean. The beds were comfortable. We had an amazing experience. Just as a side note for any writers who are listening or speakers who want to write, Writing at the Red House you’ve gotta go, but really it was for me as a recovering perfectionist it was stunning to experience it and also to just witness and to come away going I saw that happen for five whole days. cheri: She served us. She was a true hostess in every sense of the word and she was with us and she was present and we had a wonderful time and we felt loved and cared for. Oh, and by the way there was also excellence along the way. It wasn’t an either or. It wasn’t well it can be perfect or it can be awful. It was just so amazing to sit and watch day in and day out how she chose us first and then filled in the other details. amy: That’s beautiful. I think it was years ago and I think it was Karen [inaudible 00:11:22] I first actually heard talking about it. Now, this is not to say that it was the first time I had heard it, but it was the first time I registered it about the difference between entertaining and hospitality. I’ve been in lots of situations where people entertain very well. That’s actually fun sometimes. But hospitality has the heart that you’re talking about which is others focused and entertaining can so easily slip into perfectionism and self focused, kind of like with the strawberries. Hey I’ve done the same thing and I know all our listeners have too. That entertaining is more about us and how what is happening reflects on us where as hospitality, what Kathy showed to you guys is so others focused. That has made a huge difference for me to understand the difference between the two. cheri: That makes sense because if I think back on it, I realize I wasn’t paying an attention to what might have been going wrong. I was only paying attention to how welcome I felt and how connected I felt to the other people and how well cared for I felt. I never sat and went, “Well, let’s see. Is this experience happening perfectly?” Which I would do in my own home. So, what I’m hoping to do now is translate that and assume if I’m inviting good people into my home, they’re probably going to be kind of like me and just wanting to feel connected and wanting to feel cared for and wanting to feel welcomed. Who knew? Who knew that they’re not sitting there judging me the way I’m judging myself? So, it gave me a lot of freedom to give it a try for myself. Now, Cristin did say something and Cristin if you’re listening, I apologize, but she said something but I disagree with. She said to be a perfectionist is not a bad thing. It helps us to set goals and helps us to get further. You know me. I’m the chair of the hair splitters committee here and I’m going to say that that, what helps us set goals and helps us get further in life is a commitment to excellence. It’s obedience to God. 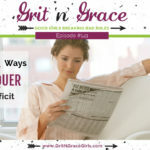 In my life at least, and the way I think we define it here on Grit and Grace is that perfectionism is always a bad thing. I am becoming more and more clear that a simple definition of perfectionism is that perfectionism is grace rejection. What do you think? amy: Woo. Well, see I think what you just said is so clarifying because you’re not really disagreeing with Cristin. You’re just redefining the word perfectionism. I think she would totally agree with you. Perfectionism is grace rejection. Yes. Because I know when I processed this through writing my first book, at the end, I had to say, “Perfectionism is sin.” It hurt me to say it. It hurt me to write it, but it’s sin because it’s grace rejection. It puts us as the responsible party instead of Christ as the responsible party and what I have really realized is yes. God has a perfecting work to do in us. This is different than what our culture seems to have swung to which is embracing imperfection. So, I think the biblical definition of perfection is God himself. So, in that way we embrace perfecting. So, I always so only when I end my own pursuit of perfection can God begin his perfecting work in me. There is a perfecting work, but I agree with you on that. cheri: That makes so much sense. So, one of the things that Cristin focused on as she was talking about the good kind of perfectionism, and you’re right. I don’t really disagree with her. 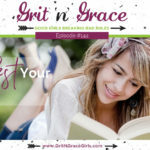 I was just being contrarian, but the kind of perfectionism that she was trying to encourage us to focus on was focusing on how God is perfect and how he has given us Christ and that in her research, she found that perfection and biblically speaking and we’ve actually had listeners email us and say, “But the Bible says, be therefore perfect also as God is perfect.” So, they really felt a lot of pressure from that and a lot of condemnation from that. But Cristin said that in her studies that perfection means balance and wholeness. What that made me realize is we are wired for connection. That is what I long for the most. I really do love sitting around a table and talking and laughing with people. I know that that’s what the meal is supposed to be a catalyst for, but I had to realize that my perfection is neither a catalyst nor a substitute for connection. I think as perfectionists we do things hoping they will lead to the thing we really want and yet they end up being the opposite. They end up being a barrier to it and I’m still working on grasping when something that I think ought to work not only doesn’t work, but it repels people. So, reminding myself if connection is the goal, focus on connection. Don’t get distracted by the perfection which those parts of my brain that still have the residual of perfectionism tell me if you do this perfectly, that will get you what you want. That will connect people to you. No it doesn’t. It pushes people away. It doesn’t happen that way. amy: That’s really good. I’ve done that word study too about the word perfect in the Bible and I found the same thing Cristin did and another word I’ll throw into the mix and this is in the Amplified Bible is perfect is equal to maturity. So, perfect and mature are the same. That’s a completely different definition. Talk about redefining. Perfectionism to us we perfectionists in the negative sense is that we’re trying to avoid mistakes. As we avoid mistakes, it makes us very, very self centered but then even though like you said, the original intent is something good. It turns us inward in really negative ways but then if we measure perfection differently, if we measure perfection in terms of maturity, maturity focuses on connection and that’s others centered. It all comes back to that doesn’t it? Who are we trying to connect with? We’re trying to connect with God and other people. That’s others centered. cheri: I had something happen a couple weeks ago that to me was a sign of maturity. I was like, “I can’t wait to tell Amy about this.” I was at the West Coast Christian Writers Conference and I was on stage to give a quick 30 second description of the workshop I was doing and it was called How To Move Your Message From The Stage To The Page. What I wanted to say was that it was for natural speakers that my goal is to help them feel as comfortable behind a computer screen as they do in front of an audience. But I got up on stage and I had practiced it and I was trying to keep my nerves, but it was one of those situations where I got really really nervous. So, I got halfway through and I had just said the phrase natural born speaker and my mind blanked and I went silent. I can just hear the pause lengthening in then suddenly out of my mouth came something that I did not plan. I just joked with the group and I went, “Well, guess I’m not a natural born speaker,” and the place erupted in laughter which gave me just enough time for my brain to rewind. I repeated the whole thing, finished it, and then came another thing. That was in the past that would have been all I could have thought about for the rest of the day. Obsessing over it. I made a mistake, I made … Literally I was able to go into kind of that mature brain that literally talked to the part of me that was feeling bad for having made a mistake and reassure myself it’s over. It’s over. Don’t hold on to it. Don’t keep it going. Nobody else cares. cheri: For the work of the Holy Spirit over the last number of years here. cheri: Well, one of the things that Cristin said that she could not possibly have known how timely it was is she said that rest is a vital component to community. So, I thought it might be fitting here and of course I have to poke you because my word for the year is rest. Your word for the year is reflection. So, how do you see those as being parts of hospitality? It had never occurred to me. Again, nobody ever taught me that that would be a part of hospitality. So, now I’m like, “Oh that’s an option. Oh that’s what it looks like,” so what do you think it would look like to include rest and reflection as part of hospitality? amy: Well, yesterday I had an interesting situation because I was exhausted. I’ve come off a week of travel and speaking. It’s been amazing and wonderful but also I just had hit a wall yesterday. So, I was gentle. So, I had both rest and I left time for reflection. I did some reading yesterday and reconnected with some family members I needed to, that kind of thing. So, it literally was mostly a day of rest and reflection but it was really a wonderful thing because this is hospitality out of the box. I met a friend at a restaurant so it wasn’t even at my house, but this is a friend that has gone through a really traumatic time beyond what anything of what I’ve experienced and she is in a season of deep grief over a loss in her life and some losses that I haven’t experienced. 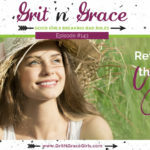 So, what I realized as I thought through this is that rest and reflection not only restored my soul, but it made my soul ready to connect with my friend. If I had walked into that situation as exhausted as I woke up yesterday morning, I would have had nothing to give her. Nothing. And yet as I prayed on the way over there, I really just asked God would you just make me in tune to the Holy Spirit, would you help me to say what I need to say, not say what I don’t need to say? Because of just having spent that time with the Lord and been in a place of greater rest, I was able I feel like to minister to my friend and I’m so deeply grateful but I did not have it in me when I woke up yesterday morning to do what I did in the evening. How about you? cheri: That makes so much sense. Well, I just loved how she included something as simple as a thank you note as being part of the overall hospitality experience because I always think I’ll get to those when I have time, but I’ve never made them oh no, that is a part of the whole thing. It’s not done. The meal isn’t over. The event isn’t over until that’s done. I realized, oh, that’s why some of the people I know who are really good at sending thank you notes, that much be why they keep them in their purse or have them in their Bible. So, it’s a combination of I need to rearrange my paradigm to make that a part of it. Just because I’ve started the dishwasher doesn’t mean we’re done. Now it’s time I need to include that, but also to make sure that I keep thank you notes in places where I have the materials handy and at my fingertips. Then she also talked about and I loved this one, this is something I think that highly sensitive people are especially good at, although anybody can certainly be intentional about it, but she talked about being open to the Holy Spirit leading her to who she needs to connect with. I know that sometimes I’m not as good in the moment, but sometimes I can circle around 48 hours to somebody and say, “Hey I remember that you said such and such over dinner and I’ve just been thinking about that and I wanted to ask you.” The number of times people are like, “Wow you noticed,” or they’re just grateful that somebody noticed, paid attention and then took the time to circle back around. So, I thought those acts of rest and reflection were both valuable. amy: Oh that is so good. That’s last one that you gave is so helpful for me because I always say I don’t think fast on my feet. So, I feel like a failure sometimes in those situations but it’s nice to know that you’ve had such good response when you think of it later to still say it later. So, I wondered if I could close out our story telling time with talking about wedding showers for a minute. cheri: Yay, please do! Yay! amy: So those of you who have been listening know that my son is getting married. So we are in the happy season of wedding showers, but years ago we were going through a tough time at church and we really thought, “Well, do we really belong here? Should we go someplace else?” I had this really funny thought that sounds really selfish but give me a minute, because I’m not completely terrible in this situation. So, I had this thought if we leave this church, who will give My children wedding showers? Now, that sounds selfish and sounds self centered, but when I really flipped it and took that a step further, I thought that question comes from where do I want to have community? I had community in my current church which helped me to kind of move past some of the troubles because I’m like, “Hey I can work through this because these are my people.” So that’s what it was rooted in. cheri: Yay how fun. You know I love that phrase you use. Invest in hospitality which is an investment in community. I think that’s a huge takeaway word for me that it’s all an investment. amy: It’s not just reciprocal to get something reciprocal but it is a reciprocal blessing so it is kind of a fun … It’s one of those virtuous cycles that you talk about. cheri: There you go. So what’s the scripture for these two episodes? amy: Well this came under a heading that said love in action in my Bible. It’s Romans 12:13 and it says, “Share with the Lord’s people who are in need, practice hospitality.” As I thought about that verse, I think it’s so beautiful because we’re reaching out to people in need. We all have need for community but as we do it, we meet a need in ourselves for community. It’s a reciprocal blessing. cheri: So true. So, what’s the bad rule that people like me need to break? amy: And me. Hospitality is more trouble than its worth. At first I thought I was going to put something like hospitality is too hard or whatever, but I thought in the end for me a lot of times I’ve decided it’s not worth it. But then I think we have to take a longer view. cheri: Absolutely. So, what’s the truth? What’s the fact we’re going to focus on? 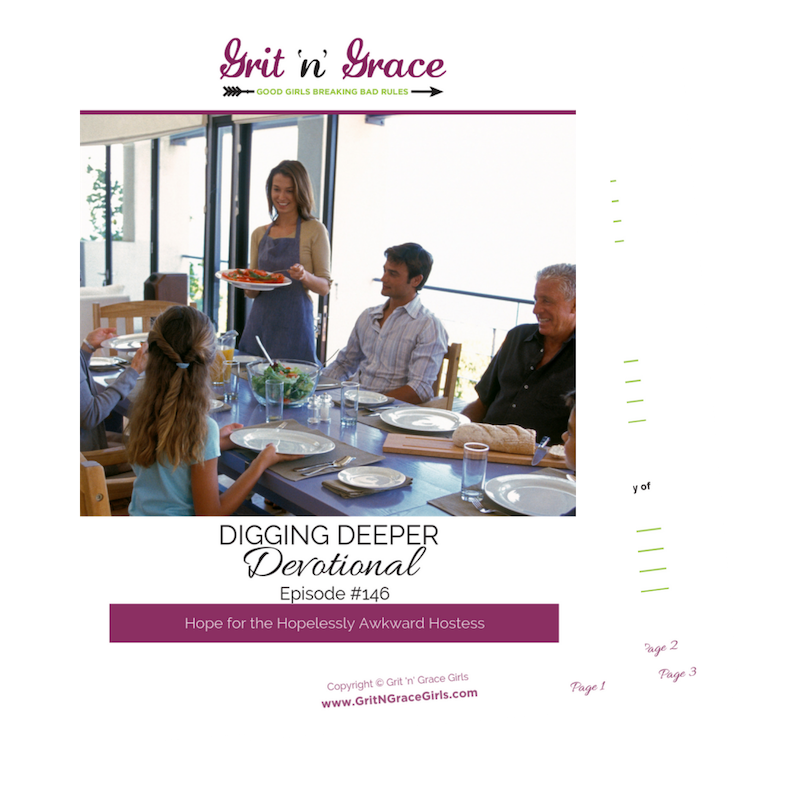 cheri: The grit is taking the first steps away from the sin of perfectionism and towards the gift of community that God has promised. 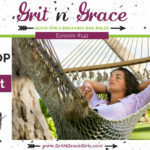 What’s the grace for you? amy: Well, I think the grace is that gift of community and that we would allow ourselves to wade into the gift of community in very imperfect ways. I love that hospitality can look a lot of different things. Hey, you know what? I had a moment of hospitality at your house that just will live with me forever. It was making Baklava in your kitchen with you. So, it wasn’t that you were waiting on me. We were working on something together. It looked different than what you would think the traditional hospitality was, but it was a moment of community. Wouldn’t you agree? amy: Beautiful. Beautiful. Baklava has a very sweet ending. 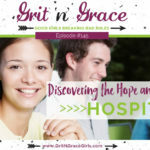 Hospitality builds the gift of community and connection.